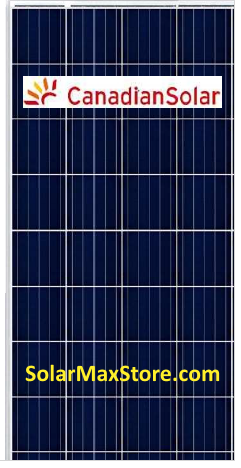 Canadian Solar's MaxPower CS6U is a high efficiency solar module with 72 solar cells that can be used for both on-grid and off-grid solar applications — An excellent panel for Carport, Ground Mount and Large Roof Applications. The company's meticulous design and production techniques ensure a high-yield and long-term performance for every module produced. Their rigorous quality control and in-house testing facilities guarantee Canadian Solar's modules meet the highest quality standards possible.